Listed below are just a handful of current and past professional athletes that use Isagenix. Note: Isagenix does not pay for these endorsements (the athletes are free to join the Isagenix business opportunity just as any other Preferred Customer is). Antwaun was a member of the football and track & field teams while in high school in Ohio. He went on to become an excellent football player at Eastern Kentucky University. Thanks to his performance on the field, Antwaun was drafted by the Houston Texans in the third round of the 2008 draft. He played five seasons as an NFL cornerback and earned a spot in the starting lineup for the New England Patriots in the 2012 Super Bowl. Since his retirement in 2014, Antwaun has joined the Isagenix community and hasn’t looked back! 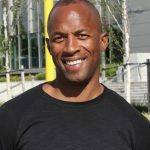 Pittman is a former 400m hurdles world champion. She is also the first Australian woman to compete in both the Summer and Winter Olympic Games (the Winter Olympics in the two-person bobsleigh). Brandon enjoyed several years in Major League Baseball and played professionally in Japan as well. Upon retiring, he became a scout for the New York Yankees and continues to work for the organisation to this day. Natalie is a member of one of the best Australian beach volleyball duos of all time. 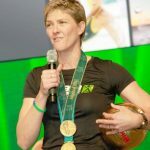 Fueled by Isagenix, a healthy diet, and love of the sport, she’s competed in a whopping five Olympics and is the proud owner of both bronze and gold Olympic medals. JJ enjoyed a nine year career as an NFL wide receiver for the Dallas Cowboys, Cleveland Browns, Atlanta Falcons, and Kansas City Chiefs. Today, he keeps his body in top shape with Isagenix and is a proud ambassador for the brand. Steve was destined to become a professional baseball player. His MLB career began with the San Diego Padres in 2003, and he continued to play in the big leagues for six straight years until suffering an elbow injury in 2009. Afterwards, he stepped away from the game as a player to rehab is elbow and help with the development of high school pitchers. Not long after, he actually noticed an improvement in his own pitching and became an MLB pitcher once again as a Seattle Mariner. 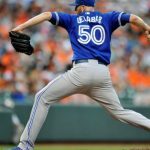 He currently plays for the Toronto Blue Jays and is pitching better than ever before. 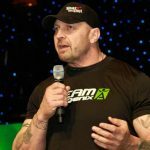 David was involved in strength training as both an athlete and a coach for several years before becoming a successful bodybuilder. 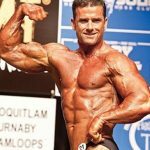 Powered by Isagenix and an iron will, he won his first bodybuilding title in 2012 at nearly 50 years old and followed that win up by becoming a national champion just one year later. David is currently seeking his third national championship. Tony was an NFL offensive lineman for nearly a decade. Prior to playing for the Green Bay Packers and Indianapolis Colts, he was the 1987 and 1988 Big Ten Lineman of the Year and a two-time All-American at Michigan State University. His play on the field also earned him not one but two appearances on the cover of Sports Illustrated during his first few years in the league. While Tony had a controversial sports career, he overcame the controversy and earned the title of NFL Comeback Player of the Year in 1996 while playing for the Indianapolis Colts. Cari’s passion for fitness shined through as a professional cheerleader for the NFL’s Tennessee Titans. Well adept at keeping her body in prime shape, she continued to grow her fitness expertise by becoming a national level fitness competitor. Cari is now a proud mom and professional health and fitness coach who enjoys staying in tip-top shape. Luis is an Ironman competitor with more than 100 triathlons under his belt. After completing his first ironman over two decades ago, he now holds the world record for being the only person to enter and finish in every single Ironman triathlon throughout the world. 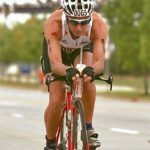 Now 51 years young, Luis plans on continuing to compete in triathlons for years to come. Kendra was born to coach. She owns her own gym in Ontario, Canada and enjoys helping fellow athletes strive towards excellence. However, when Kendra isn’t coaching, she’s training. As a serious CrossFit competitor, she is constantly working to improve her athletic performance, and Isagenix helps her do just that! Aaron comes from a football background and spent a number of years playing at the semi-professional level. Today, he spends his time perfecting his physique as a professional bodybuilder. Thanks to Isagenix and hours upon hours in the gym, Aaron was able to win his first pro bodybuilding title a few short years ago in 2013. There’s been no looking back since! Laurie grew up loving everything to do with two wheels and won several BMX titles throughout her youth. 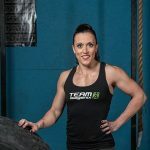 While Laurie no longer races toward the checkered flag, she’s now a serious fitness competitor with more than one world championship to her name. David is an experienced wrestler and coach. His accolades as a wrestler began in his high school days when he became a freestyle wrestling state champion. After high school, his drive to succeed continued into college and David became a Division I All-American wrestler. In addition to wrestling, David has been a wrestling instructor and coach for the past six years. Tiff spent hours upon hours in the gym growing up, but decided to trade in the gym for an adventurous life of racing. Today, she’s a champion endurance and adventure racer. Jeff was 40 years old when he competed in his first bodybuilding competition. However, that didn’t stop him from beating competitors half his age with more years of experience when he walked out onto the stage. With less than a year of bodybuilding under his belt, Jeff won a number of competitions and even finished in the top five at the IFBB World Naturals. 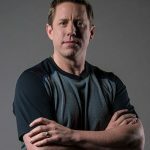 Jeff credits Isagenix and intense training for his quick success.